The temple road in Mysuru is the place to visit during the festive season. 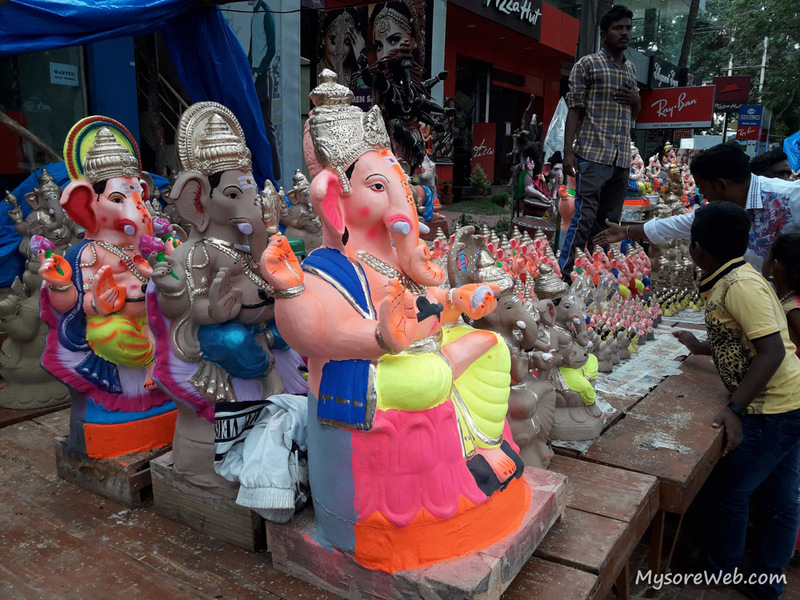 This Ganesha Chaturthi, the road was livelier with people busy shopping for Ganesha idols and festival items. We got our little Ganesha from the stalls in Nrupatunga road near Kuvempunagar Shopping Complex. Our festive rituals was over by 11 am and I left home to check out the festive environment in the Mysore city. The Mysore weather was too confusing. The sky was sometimes clear and hot and sometimes cloudy and drizzling. With two thoughts in mind, to return home or go and explore, I almost reached the Gokulam area where we stayed before shifting to Shrirampura. 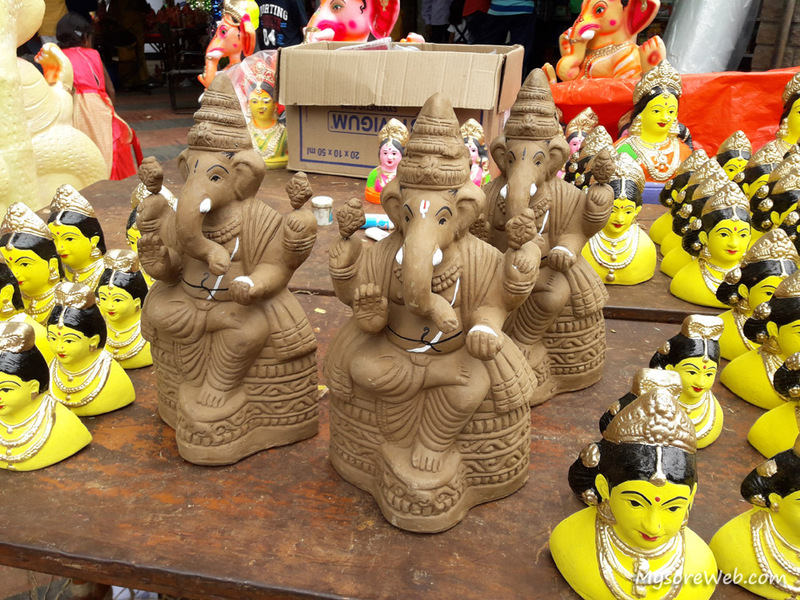 The vicinity of Ganesha temple in Gokulam saw some crowd doing purchases for the festival. Since it was slightly drizzling, the idols were partially covered. 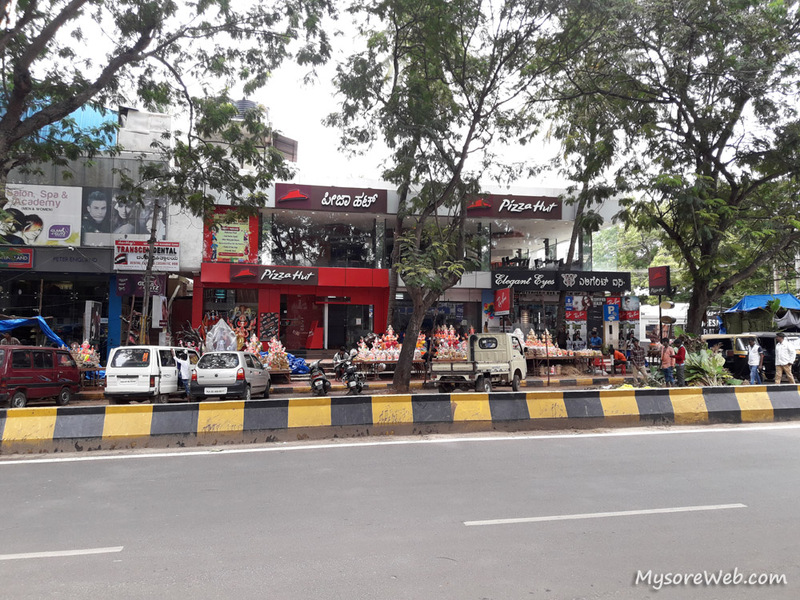 Later I moved to the busy Temple Road that divide the two popular areas of Mysuru, V V Mohalla and Vontikoppal. If you are a pizza lover, come this road. You can choose either the Dominos or the Pizza Hut. 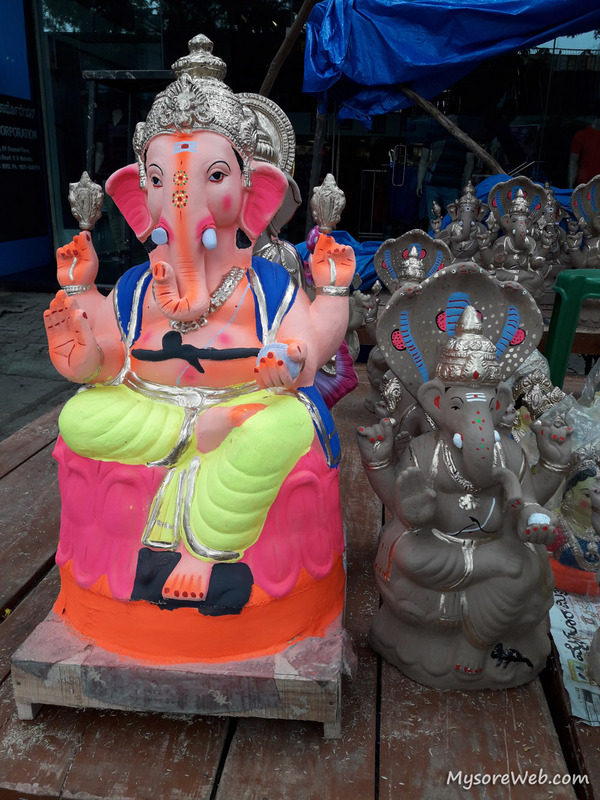 The vendors selling Ganesha idols and other festival items occupied all the shop fronts on the temple road. Afterall, the shops will get more visibility from the unusually more footfalls. 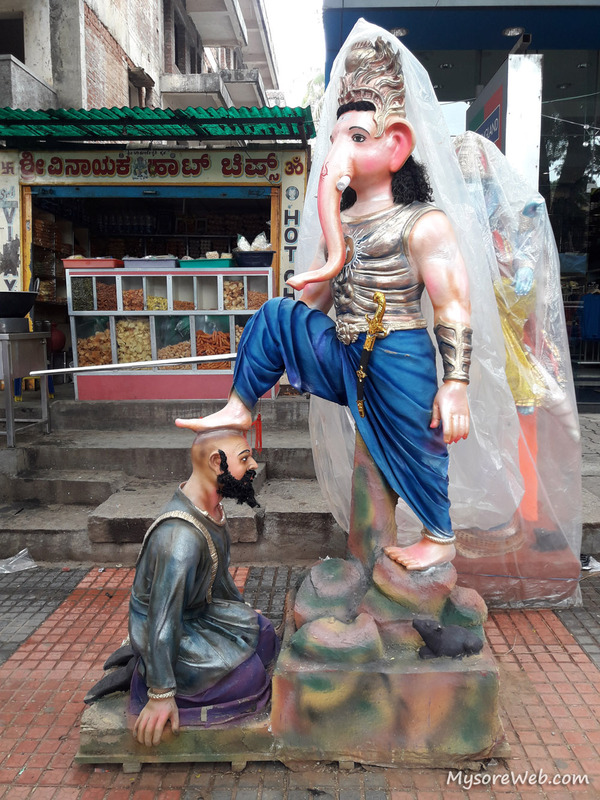 There was this Ganesha idol just resembling the Bahubali putting his foot on the head of Kattappa. You would know if you had seen the Indian blockbuster Bahubali movie. I am referring to the first image in this post. Did you like the images in this post? All the images are from my Samsung J7 NXT. Choose your Smartphone from Amazon, if in case, you are planning to buy one. Thank you for your comment. Have a great day.